Shan Burns has been with Aitken Robertson since 1994 and has been the initial point of contact at our Peterborough location serving as one of our administrative assistants and receptionists. 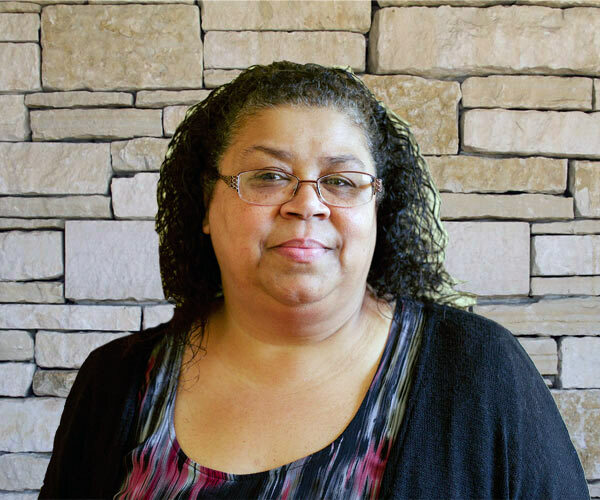 With over 20 years of experience, Shan has honed her skills in bookkeeping and multitasking while she maintains the front desk of one of our busier full-time operations. Shan is a Peterborough location, having spent her childhood growing up in this wonderful city. She has dedicated her career to assisting others with their preliminary legal inquiries, acquiring their information, and schedule appointments with our lawyers and paralegals. When not assisting on the phone, Shan is responsible for the greater majority of the firms accounts – drafting everything from bills, account letters, and reporting letters. Some of her hobbies include reading, cooking, and attending concerts with her daughter. Her favourite television sitcom is The Big Bang Theory.